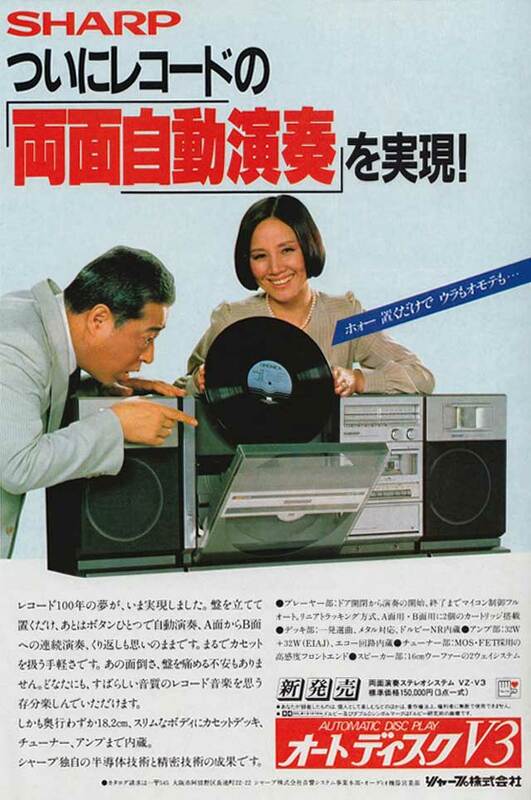 In the early 1980s, Sharp released a series of hefty record player boomboxes under the name Sharp VZ. The VZ 2000, VZ 2500, and gargantuan VZ 3000 sported a high tech “AutoDisc” feature that allowed them to play both sides of a record without the record being flipped. The Sharp VZ series was intended to be portable, but even the small(ish) VZ 2000 weighed 35 pounds.